I guess you could say that I “had myself a come-apart,” as they say in The South. I had just dropped my Mom off at her condo after visiting an Assisted-Living facility she was considering moving into. She may need the kind of help they offer sooner or later. We’re trying to check out our options now, before there’s a real crisis. The facility was lovely and the people there were completely delightful and kind. Mom had done well touring the place and asking questions, even though I knew her memory problems were making it hard for her. Overall, it went WAY better than I had expected. But once I got into the car to head back home, I could feel the tears welling up. Like a tiny snowball of grief rolling down a hill, I could see it coming, growing larger and larger. By the time I made it to my first red light, it was a full-on grief avalanche. Ugly. Cry. The tears and the grief weren’t about the facility…truly, it was wonderful. She would receive great care there. No, they were for the fact that Mom even needs to look at a facility like that at all. The grief was (IS, if I’m honest) about the changes I’ve seen and the ones that are likely to come. And it was as I was wiping the tears from my eyes at the red light that I saw it: Jesus. In the same way you might see “Wash Me” scrawled in the dirt on a car, someone had written “Jesus” on the white van in front of me. A great big JESUS. I stared at it for a moment and a calm swept over me as I was reminded of something…Someone…who will never change. He will always be with me, even when hard changes come. Even when I have ZERO interest in adapting. Even when I Ugly Cry and wish things were different than they are. Even then, Jesus stays the same. This is my contribution for Five Minute Friday, a weekly linkup of writers who free write for five minutes on an assigned word. Our word for this week: Adapt. « Stuck in the Middle? Oh… and here’s another post I so needed to read tonight. Bless your heart dear one. 🙂 Thanks! This is beautiful, just like you. I hope you never change! Tracie, these changes are so hard and painful. This was such a beautiful post as one word, one Name, dispels all doubt and fear about the future. Jesus. May we ever cling to Him. Praying for you, and your mama, this morning. Grateful to have stopped here today. Blessings! Awesome! The God of details! Thank you for sharing your heart. … visiting from FMF#21. Blessings and comfort on your day! What a beautiful post. It made me get teary-eyed and smile all at the same time. I’ve been there with my fingers in my ears and singing the whole LALALA with you! Avoiding the inevitable changes ahead. So thankful for your reminder that He never changes. Thanks! Visiting you from FMF #41. Loved this. I have taken to whispering His name in times of trouble more and more. You’re right, as our lives change and troubles come, He never changes. We can rest in Him. I think these assisted living places are just the sweetest places (at least, the ones I have known). How smart you are to begin working on that change even now. No doubt, your mom will “adapt” faster (once there) than you do….but be encouraged that she is loved and looked after! God is so good – even in the details, isn’t He?? Lovely post, Tracie. Being terminal with two cancer, I SO get it. But I’m fixin’ to die at home, and having just fist-bumped Jesus only last night (near-death experiences are both hard and wonderful), that’s what’s gonna happen. Ha! How cool is that?! I love it! ❤️ Thanks for reading, Cindy! Want to change the world? 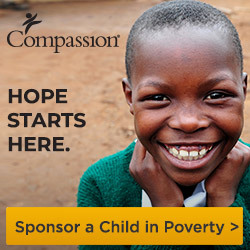 Sponsor a child! #literal Photo credit unknown, but highly admired.